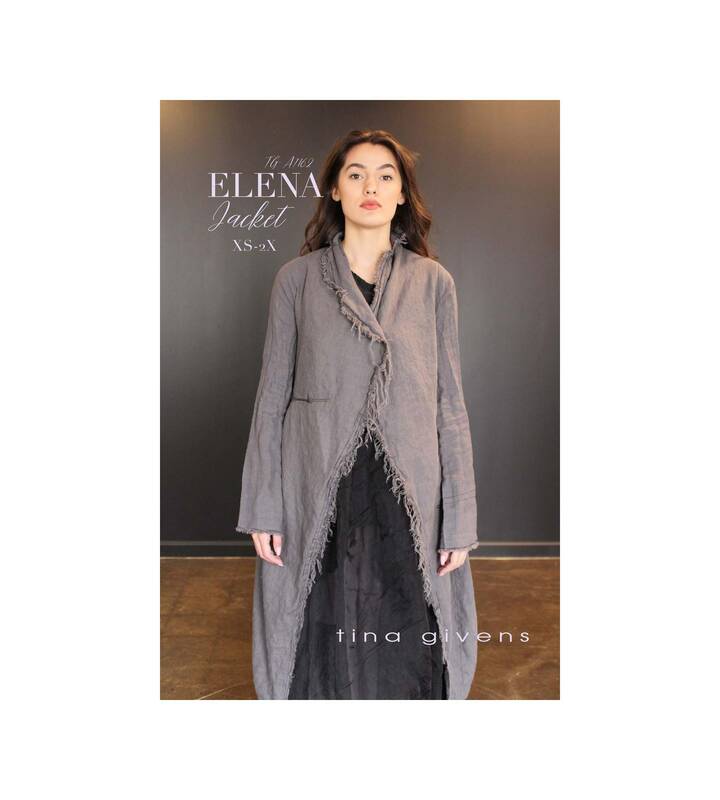 Elena is a lovely elegant long jacket. Its rough edges are simply garment washed and trimmed slightly, but a stay-stitch keeps it together. You can also make it with finished edges. Choose between side pockets or welt pockets. Its asymmetrical front is super-cute, choose one or two buttons. Embellished back and easy decorative stitching. Layer this piece over any dress, pants or skirt and you are done! Perfect in medium weight linen or a woven cotton. 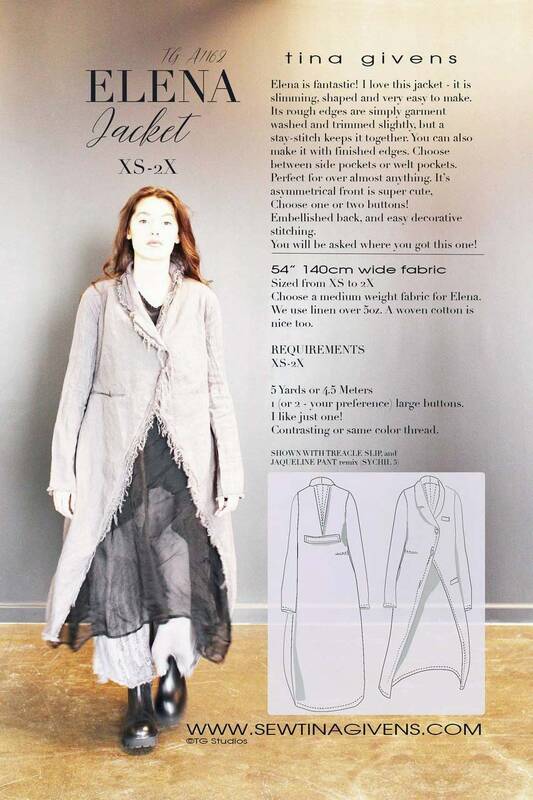 Even a heavier fabric for cold days - make it a size up for a heavier coat! Perfect!